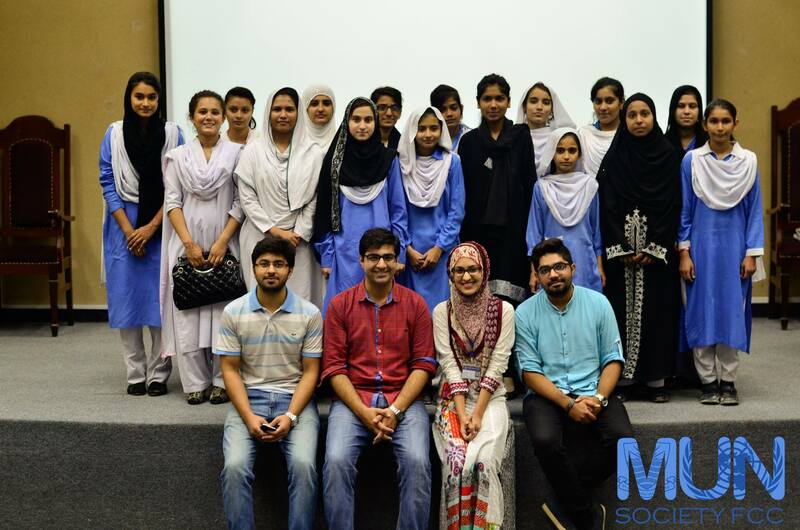 The MUN Society FCC held an interactive introductory session for the students of CARE Foundation Pakistan during it’s MUN Summer Camp on 23 June 2015. CARE Foundation is a non-government organization aimed towards providing quality education to underprivileged children of the Pakistani society. The students, belonging to public schools were given a comprehensive overview of the basic structure, functioning, and significance of MUNs by Saira Ahmed and were asked about which committees appealed to them the most and the reason(s) for their choice. Areab Shuaib, president of the MUN society elaborated on the importance of diplomacy and diversity, and encouraged the students to actively participate in events promoting dialogue. The session ended on a high note with the students voicing their thoughts, recapitulating what they had learned, and thanking the FCC MUN society for inviting them. 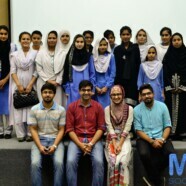 Care Foundation Pakistan Collaborates with MUN Society FCC and their students attend the whole MUN Summer Camp.